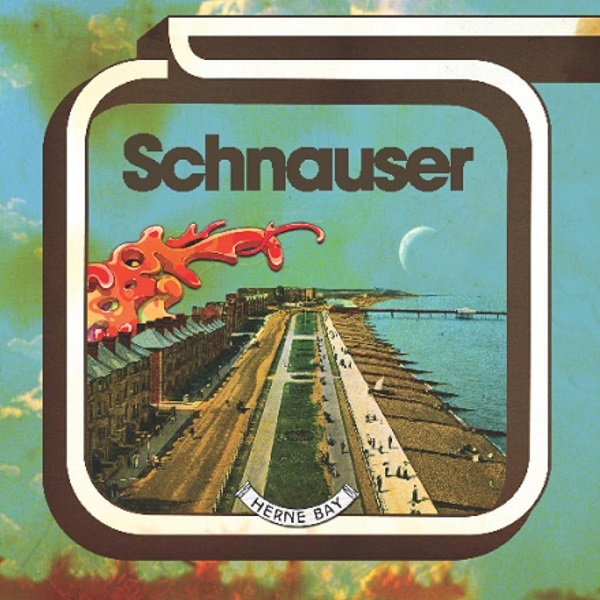 Schnauser is a new band for me and also a new addition to the Fruits de Mer stable of artists. They are a band from Bristol who has been knocking around the scene for all most a decade playing oddball psych-prog-pop music. For their first FdM release they chose to cover both Yes and Soft Machine — quite ambitious! The Yes track is “Astral Traveller” from their second album, Time and a Word; the Soft Machine track is “As Long As He Lies Perfectly Still” from Soft Machine Volume Two. I was never really a Yes fan, as I found Jon Anderson’s voice a bit annoying, but Schnauser does a great job in bringing me around with their excellent cover. The vocals bear some resemblance to Jon, but are much more palatable. In addition they take “Astral Traveller” into Krautrock jazz territory sounding more like Embryo than Yes. The second track is uncanny in Schnauser’s channeling of Robert Wyatt, Mike Ratledge, and Hugh Hopper. They have been playing this song live for about a year as a tribute to Kevin Ayers, which contributes to its polished sound. And to make it their own, they added a bit of “Gong”iness to the mix. I hope to hear more from Schnauser in the future.